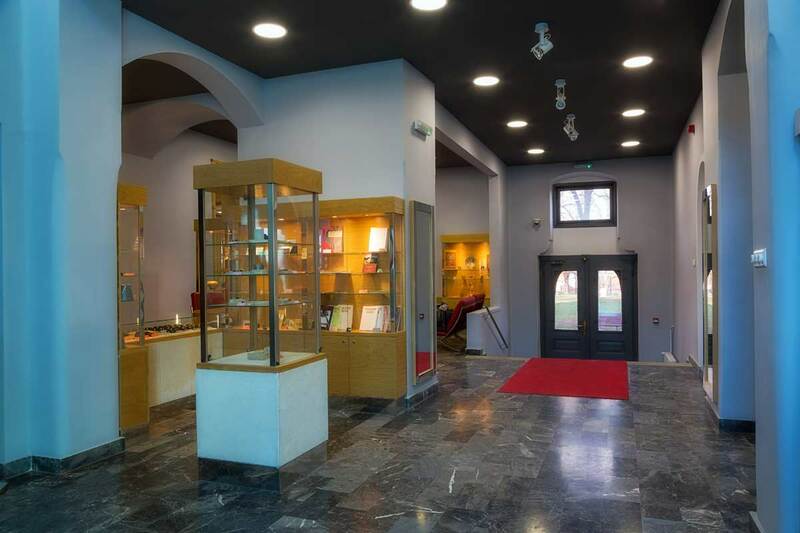 In the entry hall of the central Museum edifice, there is a modern Museum tourist – information point with a souvenir shop and a special souvenir offer named Museum silver. Museum silver programme includes replicas of the jewellery from the Museum collections – rings, earrings, pendants, grivnas and necklaces – ranged in time from prehistory to XIX century, the degree of Sterling silver. Besides silver, there is also other jewellery by model of pieces from the museum collections, as well as publications, postcards, reproductions, objects with motifs from the Museum collections and variegated assortment of popular products intended for the widest range of the Museum visitors. Working hours of the Museum tourist-information punkt and the souvenir shop is every day, including weekends and holidays, from 8–20h. Professional guide services are available to visitors for the tour around the Museum exhibition in Serbian, English and Russian language.